I was once in a meeting with some colleagues when I used the word "ensure" in the context of making sure something happens. To my surprise, a woman in attendance corrected me on the spot. She said I had confused "insure" with "ensure." The Duke Ph.D. in English part of me rankled at this, and I told her that while the two verbs have similar connotations, their meanings were the opposite of what she said. But she held her ground over this interesting point of grammar. I realized she had a strong need to be right, and with an open mind said, "You may be right," and let it go. Today, 30 years later, I remembered this incident. Don't ask me why. At my age a lot of off-the-wall memories pop into my mind. Maybe my life is flashing before my eyes. 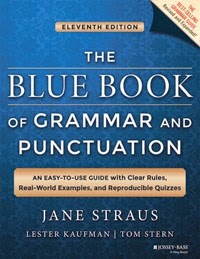 So just to be sure, I googled it, and the top-rated grammar website happened to be my favorite: GrammarBook.com. If you're ever concerned whether you're about to make a fool of yourself by misusing the English language, I highly recommend it. Search for the issue, or get the book and keep it close. It's amazing the mistakes people make, especially news and sports announcers. Book authors not so much; they have editors to keep them straight. Assure is to promise or say with confidence. It is more about saying than doing. Example: I assure you that you’ll be warm enough. Ensure is to do or have what is necessary for success. Example: These blankets ensure that you’ll be warm enough. Insure is to cover with an insurance policy. Example: I will insure my home with additional fire and flood policies. So. I was correct. And even better, I restrained myself from arguing about it at the time. I just love righteous memories.